Today is Mardi Gras, or Carnival/ Carnaval depending on the part of the world you’re in, and it means one thing: PARTYING! 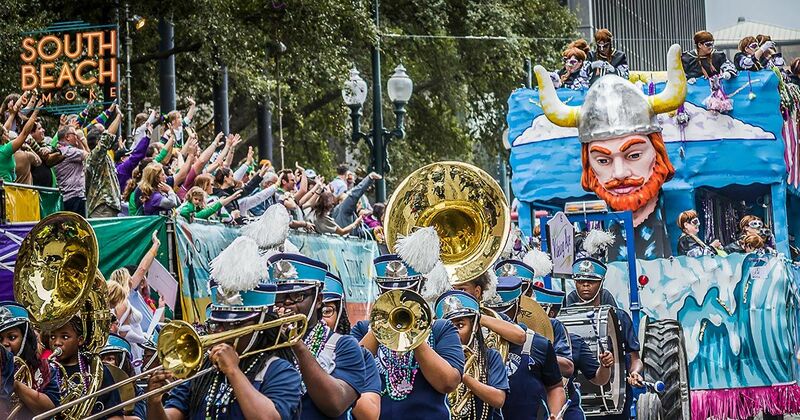 Costumes, King Cake, masquerades, parades, floats, and getting one’s sins out as vibrantly as possible are all in the game of this hedonistic holiday, and throughout the world, people are taking full advantage of the celebration as fully as they can. While we aren’t located in one of the holiday’s more fabulous locales like New Orleans or Rio de Janeiro to be living it up with the throngs of party-goers, we are still celebrating with our own type of revelry: a sitewide sale! While we’re sure the parties are amazing, along with the dancing, music, drinking, and everything else going down, our sale is equally so! So until tonight at 11:59 EST, you’ve got the chance to score 15% off sitewide along with FREE SHIPPING! How does that sound? Worth celebrating, for sure! Perhaps you want to score some great new vaporizers; we recently added an enormous selection to our site, and we’re sure you could benefit from these highly innovative devices! We also have one of the largest collections of e-liquids anywhere, so if you’re looking for new flavors to experience, look no further! And how about vape pens? Feeling the need to try something new, maybe upgrade your vaping to a more advanced level? Well, again, we’ve got everything you need to keep your vape life exciting. So whether you’re enjoying the celebrations in New Orleans or elsewhere, we suggest you take a few minutes out of the fun to score some of the excitement South Beach Smoke has going down on our site. 15% off sitewide is certainly something to get wild over, and remember, when the clock strikes 12 (midnight), it’s over! Enjoy the free shipping while it lasts as well! Happy Mardi Gras from everyone at South Beach Smoke! Introducing South Beach Smoke Deals of the Week! Thanksgiving Means One Thing: SALES! Wanna Save Money? Switch to E-Cigs!